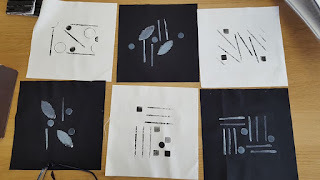 I have decided after much deliberation to start a blog about my Journey as a new teacher, and also the students who are putting their confidence in me to teach them how to become more expressive in their design and stitching skills. 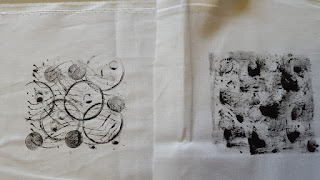 If we as artists didn't use a little of that "licence" there would be no art at all. 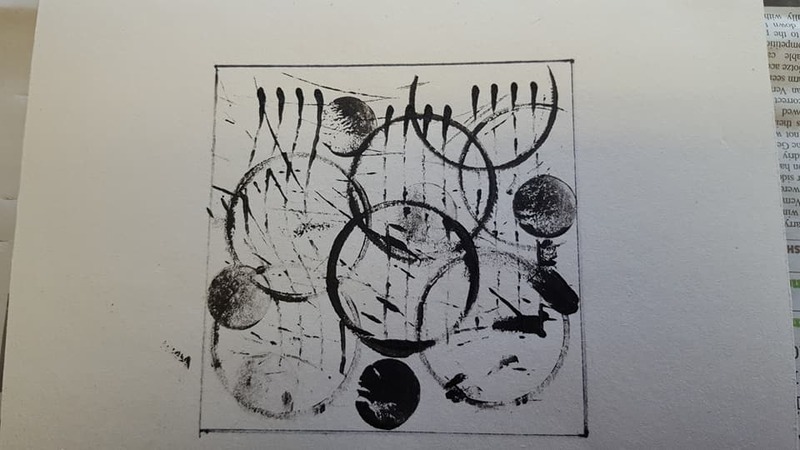 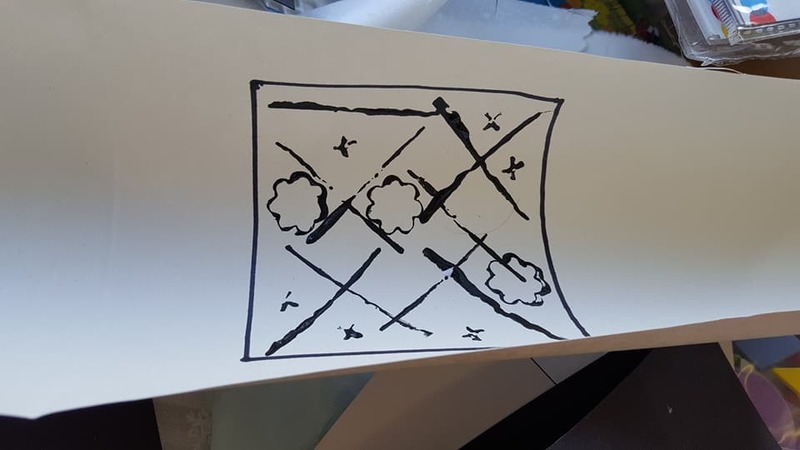 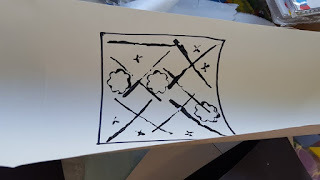 From the very beginning we have been mark making from the buffalo, dear, and mammoth of the prehistoric age to a sketch by Picasso suggesting movement for a final piece, simple marks can be the most powerful! 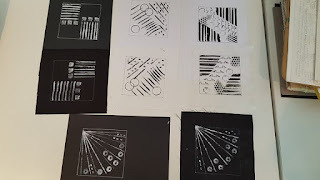 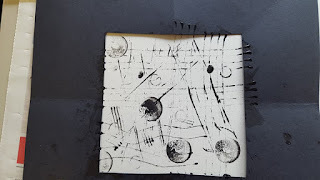 The beginning of our journey starts here with the first blog, mark making on the computer, not quite as satisfying as paper and pencil but there, that is the future and why not. 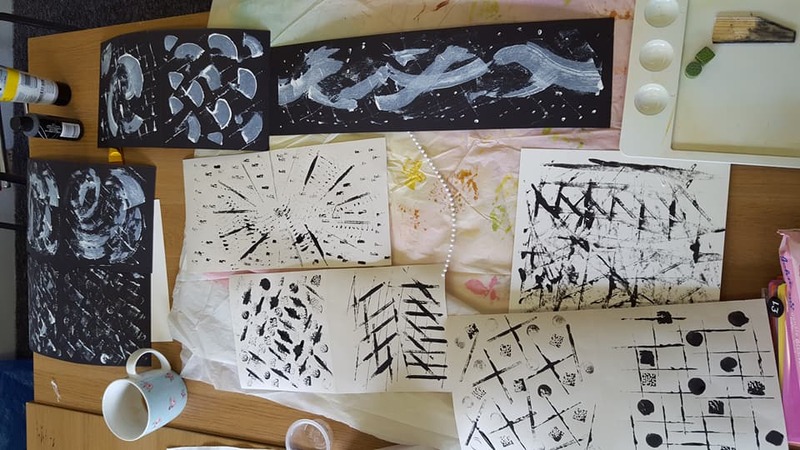 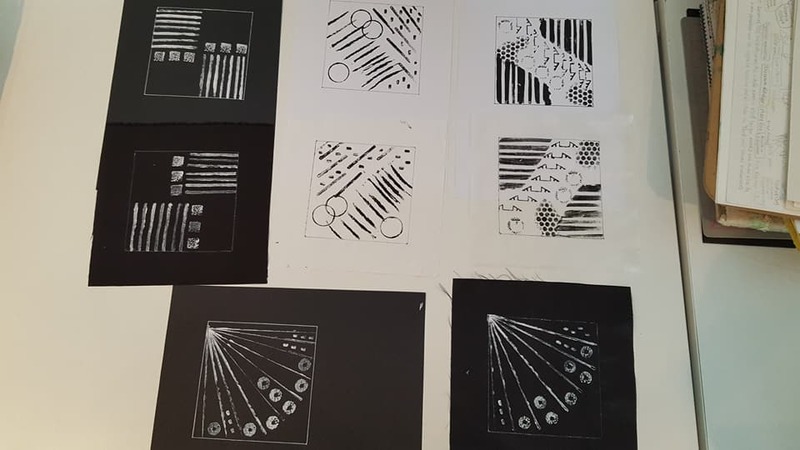 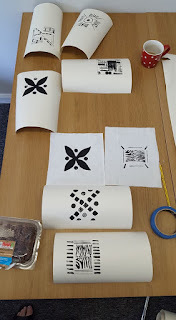 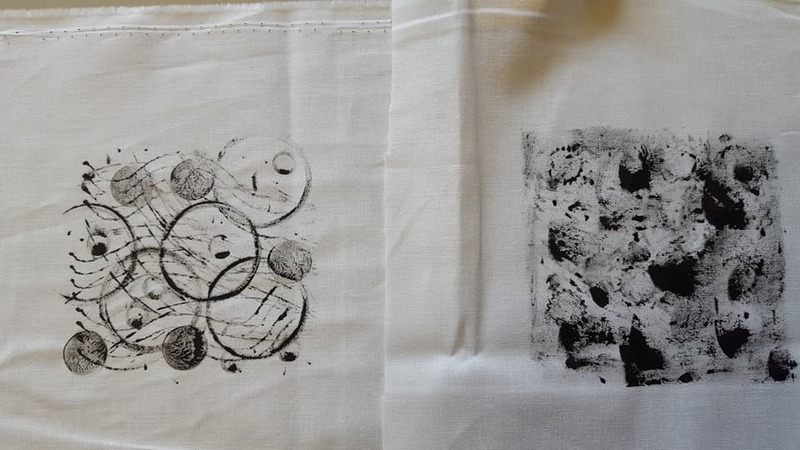 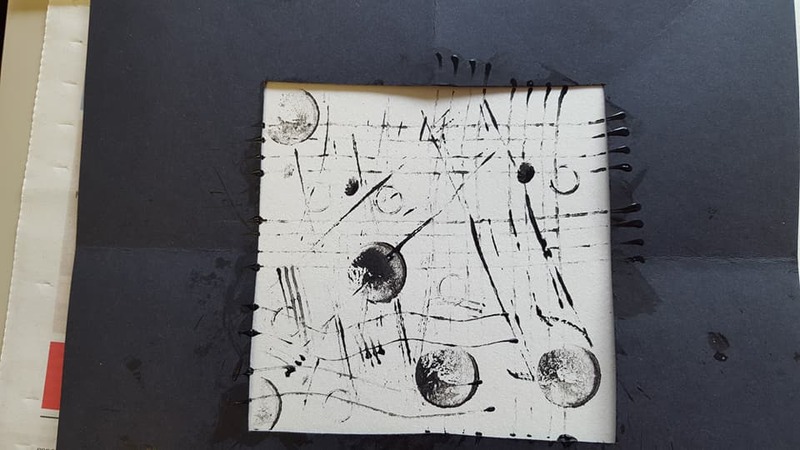 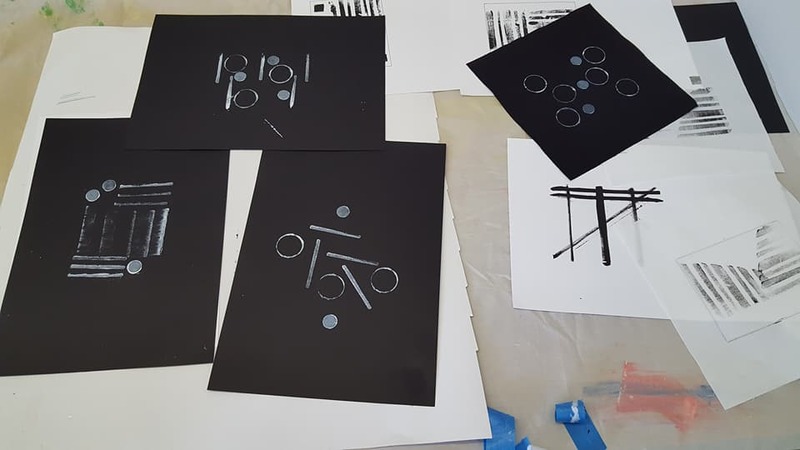 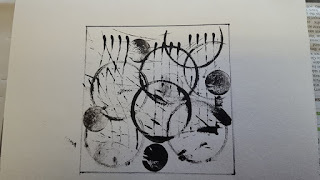 In our first session last week we made marks with dry medium ie pencils, crayons, charcoal, chalk etc and in this weeks session we used tools and implements to apply wet medium ie acrylic paint to place marks on paper and fabric. 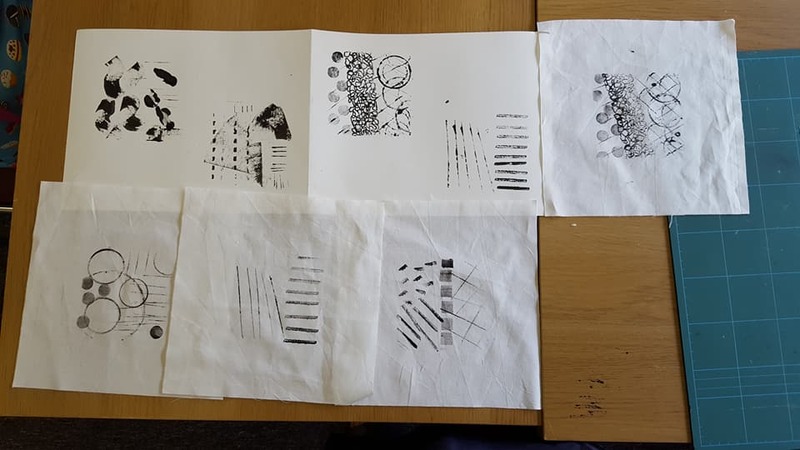 We are working in black and white to concentrate on the mark rather than it's colour. Next weeks session will be using hand embroidery stitches in tones of black and white to add marks and embellish with needle and thread. 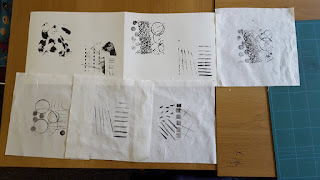 Creating a texture on the surface of the fabric, bringing the two together to make a cohesive design. 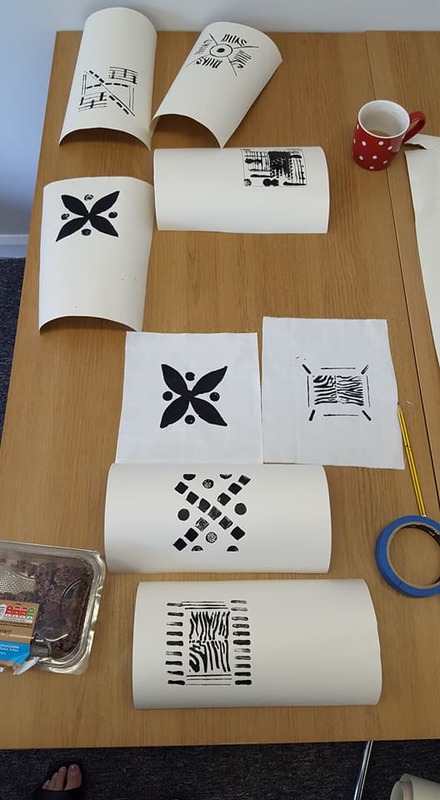 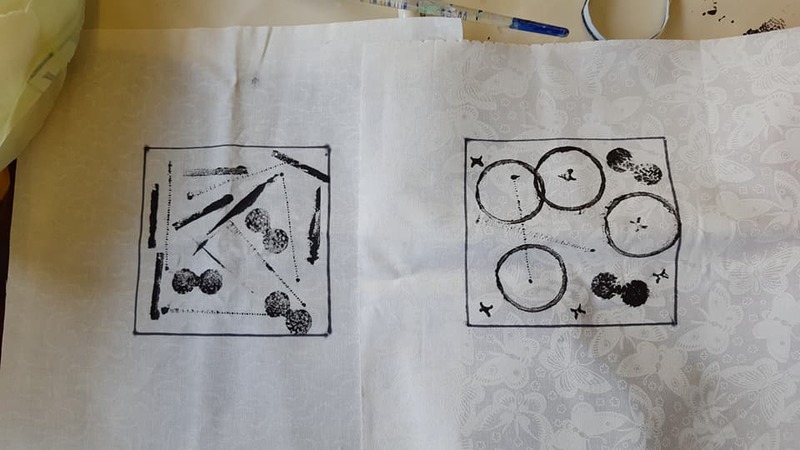 Here are samples of the printing we did yesterday and I don't know about you but I can't wait to see how everyone interprets their own design into an embroidery. 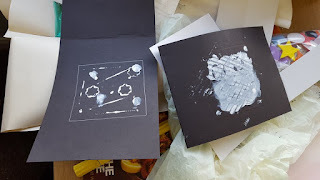 Makes me want to start all over again!